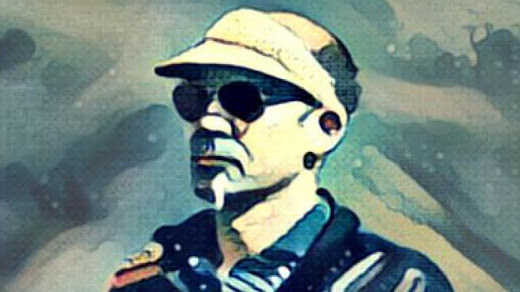 For the first post of a new month, I'm returning to Letters of Note and taking a gander at the strange and amusing life of Hunter S. Thompson. Eight years before he first made his name with Hell's Angels, a strident critique of the self-same biker gang in whose company he lived for more than a year, Thompson received a letter from a young friend called Hume Logan asking for advice. Despite being only 20 years old and still serving in the US Air Force, Thompson's reply contains a great deal of wise words, as well as the rambling, drug-induced stream-of-consciousness style which would come to define his career. It's an entertaining, if long-winded, snapshot of the great author that would eventually emerge in Fear and Loathing in Las Vegas (later brought to the screen by Terry Gilliam). You can read Thompson's letter in full here. If you're left in a Gilliam mood after that, either check out Fear and Loathing in Las Vegas or explore some of his other work, from Monty Python and the Holy Grail to Twelve Monkeys. For a bit more gonzo journalism, or underground journalism, I recommend looking into John Wilcock, a contemporary of Thompson who co-founded The Village Voice and also rubbed shoulders with Andy Warhol in the 1960s. I met him while doing work experience on the Northumberland Gazette in Alnwick; suffice to say, he's quite a character.